It’s the Friday before Christmas and all through my planners is my 2017 things and dreams. So what does my creative urges suggest be done, but prepare and decorate for 2018 fun. My daughter is home for the holiday and everyday we have been so busy that I haven’t had a lot of time to plan and prepare. I thought this would be a good time to get New Year’s Eve ready in my planner. This week’s Freebie Friday features New Year’s Eve Planner Sticker Quotes. In case you missed New Year’s 2017 Planner Stickers you can revisit and download them from here. Friendly Reminder: Effective 2018, I will no longer be offering the Freebie Friday stickers in the Erin Condren size. The freebie stickers will fit most planners but are the standard size of EC at 1.5” x 1.9” and HP at 1.5” x 2.25”. To download the Freebie Friday Erin Condren sized stickers. Please click here. 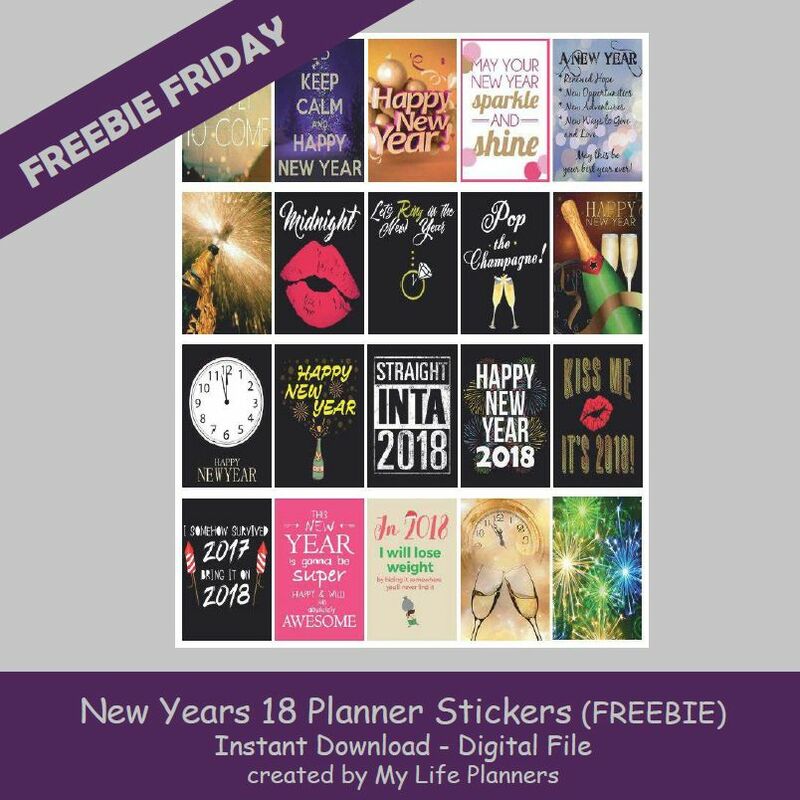 To download the Freebie Friday Happy Planner sized stickers. Please click here.